The restaurant owners accused by local people of wanting to give “an Iberian ambience” to the area, have been given 15 days to justify their actions in_writing. 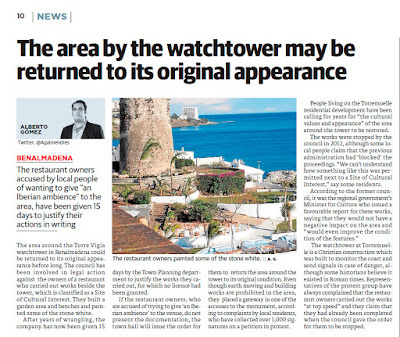 The area around the Torre Vigía watchtower in Benalmádena could be returned to its original appearance before long. The council has been involved in legal action against the owners of a restaurant who carried out works beside the tower, which is classified as a Site of Cultural Interest. They built a garden area and benches and painted sorne of the stone white. After years of wrangling, the company has now been given 15 days by the Town Planning departrnent to justify the works they carried out, for which no licence had been granted. 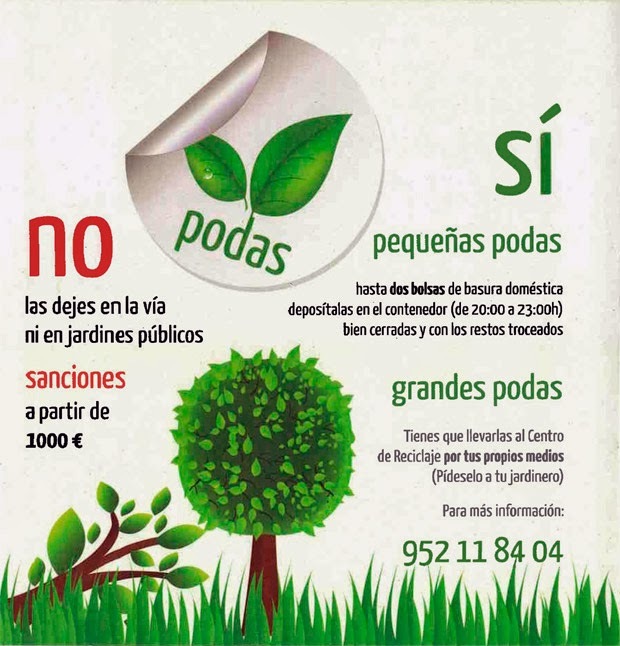 If the restaurant owners, who are accused of trying to give ‘an Ibeflan ambience’ to the venue, do not present the documentation, the town hall will issue the order for them to return the area around the tower to its original condition. Even though earth rnoving and building works are prohibited in the area, they placed a gateway in one of the accesses to the monument, according to complaints by local residents, who have collected over 1,000 signatures on a petition in protest. 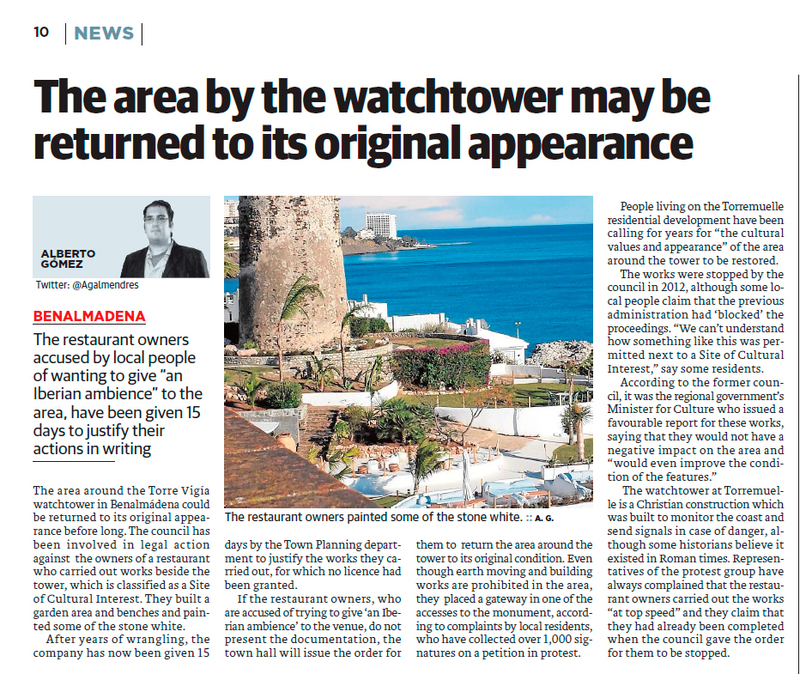 People living on the Torremuelle residential development have been calling for years for “the cultural values and appearance” of the area around the tower to be restored. The works were stopped by the council in 2012, although sorne local people claim that the previous administration ha d ‘blocked’ the proceedings. “We can’t understand how sornething like this was permitted next to a Site of Cultural Interest,” say sorne residents. The watchtower at Torrernuelle is a Christian construction which was built to monitor the coast and send signals in case of danger, although sorne historians believe it existed in Roman times. Representatives of the protest group have always complained that the restaurant owners carried out the works “at top speed” and they claim that they had already been completed when the council gaye the order for them to be stopped.